First noise this thing has made in over 20 years! 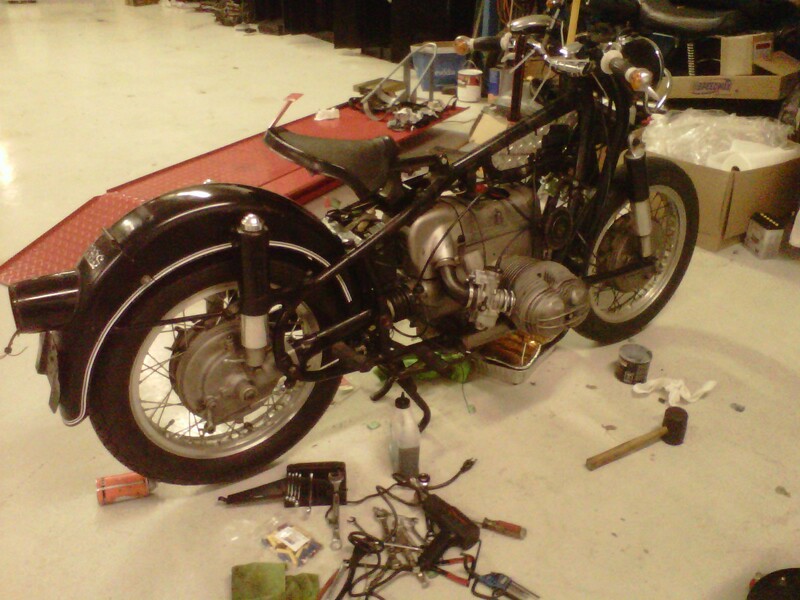 Das Bike Projekt: One Step forward…. … and Two steps back! 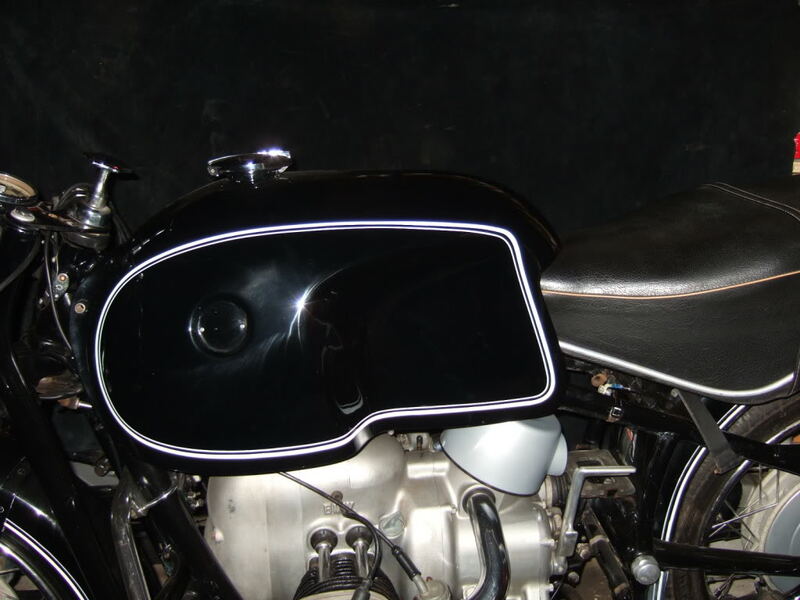 Im waiting on some carb adapters, so I moved on to mounting the seat adapter plate which pushed the solo seat back 3 inces, but mounting the Big Churchgate tank is proving to be a masive pain in the tail. I must have had it on and off a dozen times yesterday. 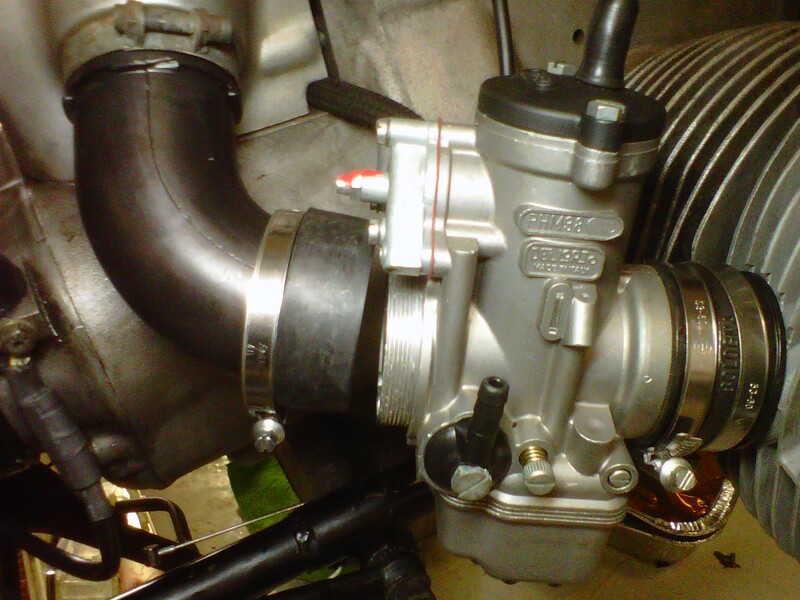 The Petcock hits the starter cover and airbox, the crossover fitting hits the started cover on the other side…. Lots of cuttting and grinding that i had NOT planned on, and it isnt pretty!…. 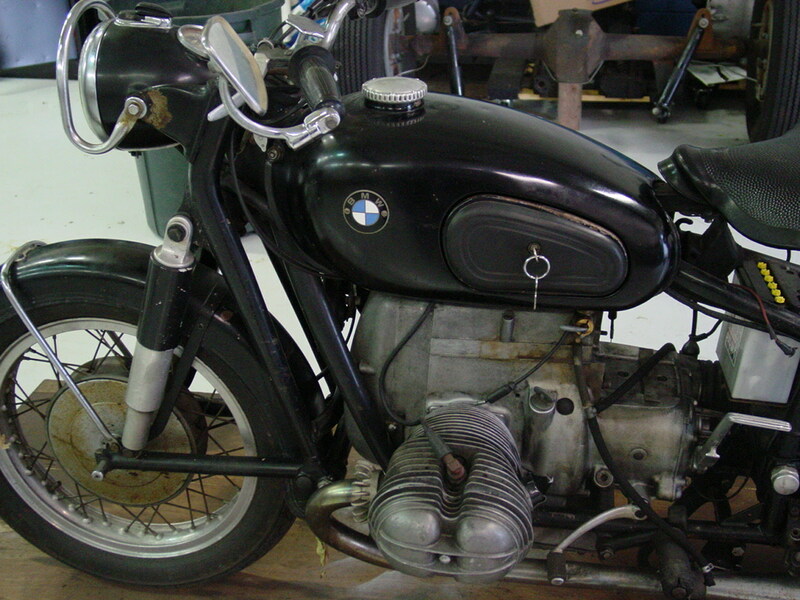 I have half a mind to put the stock tank back on for now…..
Das Bike Projekt: carb tube won’t fit? I eventually made this fit! Well the Trans, Swing Arm, Rear Drive, Rear Wheel, Battery, Airbox,Rebuilt Shocks, Carb are all on since the last update. I’m probably only 3 or 4 hours of work away from starting this thing!